When people think of Maui, they think of warm beaches, beautiful textured mountains and powerful demigods that created our paradise. When I think of Maui, I think of tall pine trees, breathtaking waterfalls, the people that make the place paradise and the home of Scouting on our little island, Camp Maluhia. Camp Maluhia has been in operation since 1937, when Scouting breathed new life into the property. Over the years Scouts and our island community have provided service, earned merit badges, shot firearms, learned life lessons and swam in the waters of our Maluhia Pool. Our pool is key to our camp, located perfectly in the middle of camp for all to enjoy. The pool has been in operation since the 50's and has been the training grounds for mile swimmers, lifeguards, and those pursuing swimming and lifesaving merit badges. 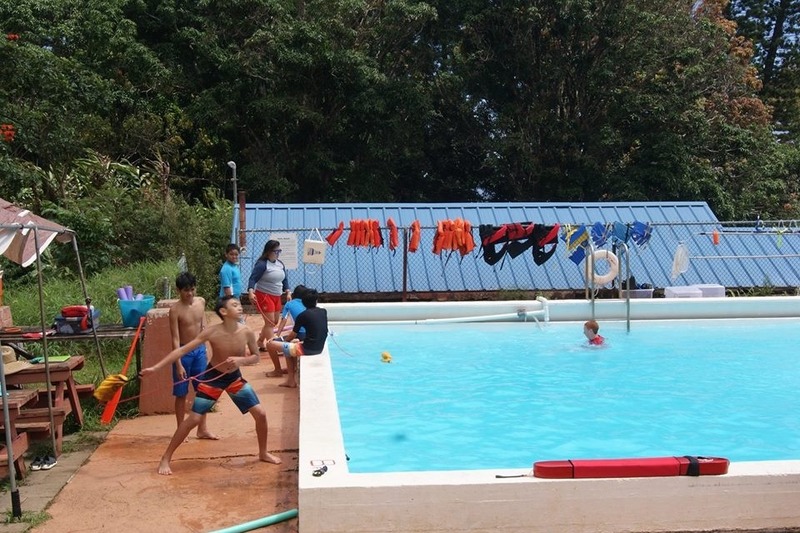 Kids from Scouting and kids from around the island look back on the pool as a key memory that they experienced on those hot summer days, "back in the day." It even used to be Green! !, but now its crystal clear blue, and a great asset to the camp. But the pool is in danger and we need your support to bring it back. The pool has been painted, repainted and repainted for the last 20+ years. This paint has started to leach out into the water, so when someone jumps in, the paint gets disturbed and destroys the clarity of the pool, making lifeguarding impossible and making it a safety hazard to keep open. For this reason, the pool has been shut since late 2018. The cost of fixing this problem is $50,000+, a whole lot more than the Maui County Council, BSA can cover on it's own, and we are looking for help. If you want to help us out, please share this story with everyone you know and lets get the pool fixed. Donations are accepted here and can also be sent to 200 Liholiho Street, Wailuku, HI, 96793. The pool is key to our Camp Maluhia experience and legacy. Help us continue the legacy, help us keep Maluhia safe for our keiki.